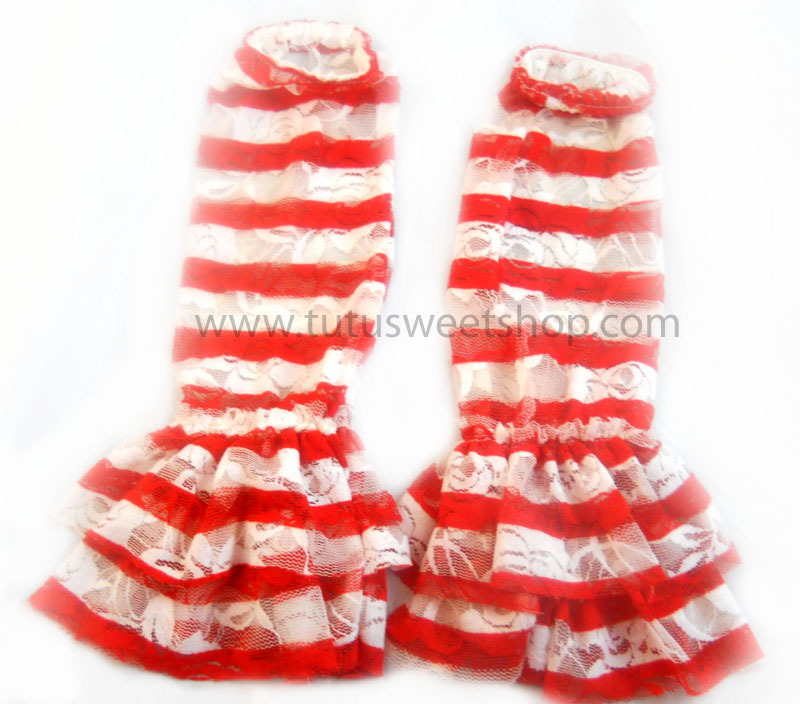 High quality high fashion red and white Lace ruffled Leg Warmers! 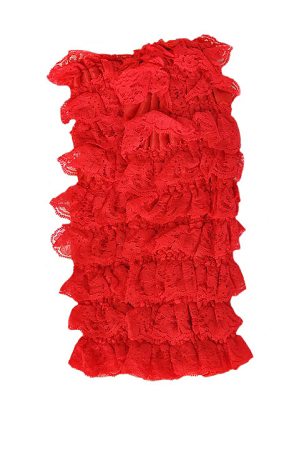 The perfect accessory for any tutu, or skirt. fits 1 year to 8 Years! 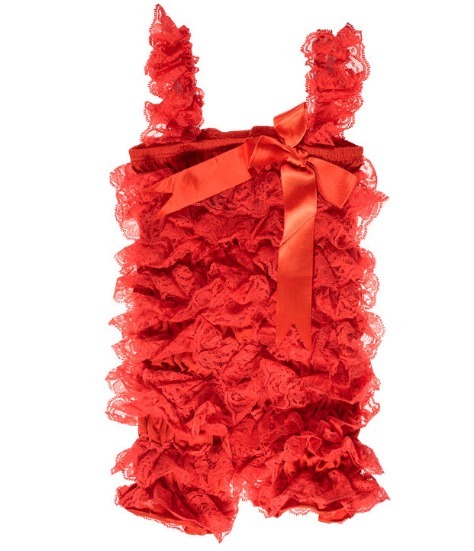 Great for holidays or everyday wear. This item is custom made in the US. Please allow up to 3 business days (monday thru friday ) for your order to be created, plus shipping time.